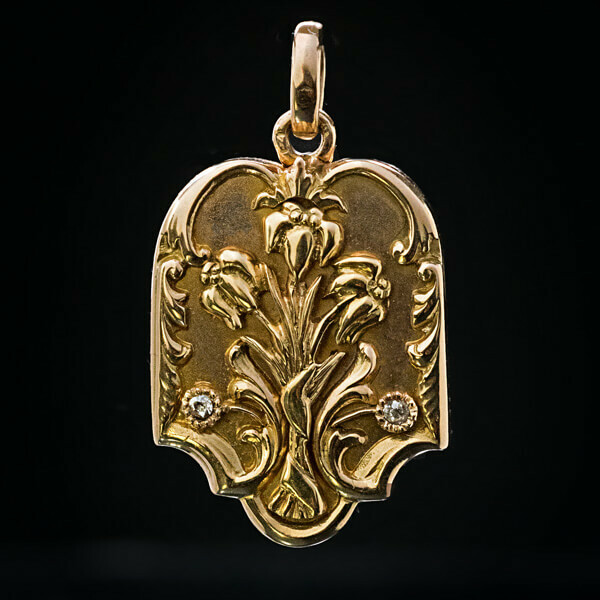 This Tsar Nicholas II era antique Russian gold locket pendant was made in St. Petersburg between 1908 and 1917. 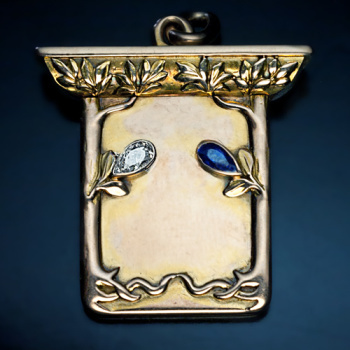 The matte cover is applied with a spray of shiny Art Nouveau style flowers accented by two diamonds and framed by chased foliage. 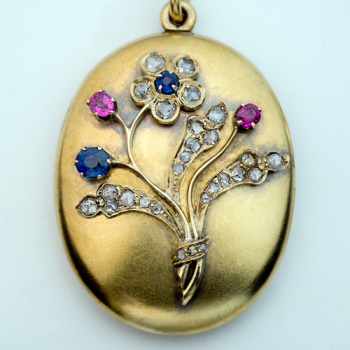 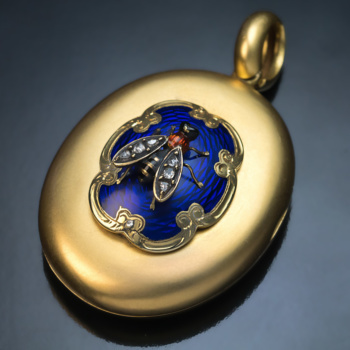 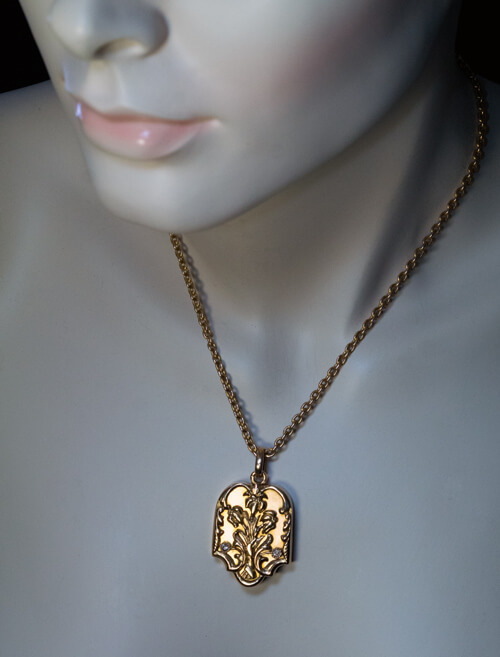 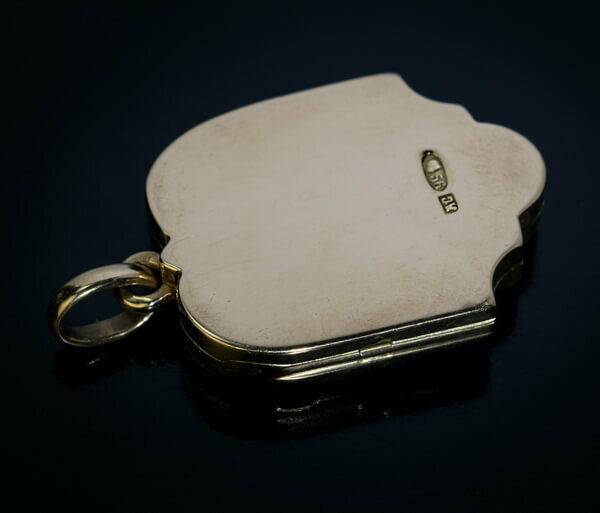 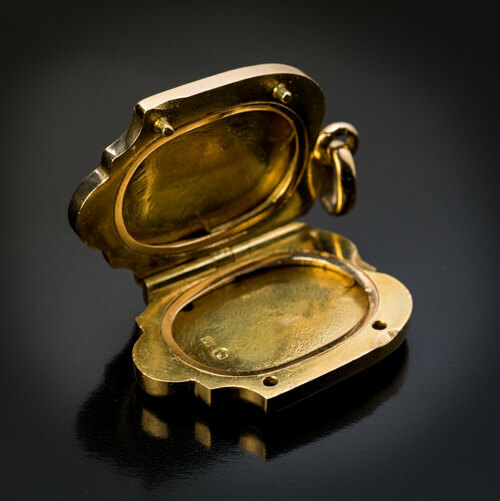 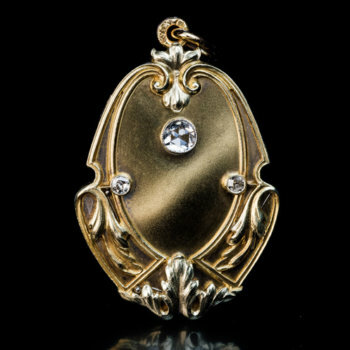 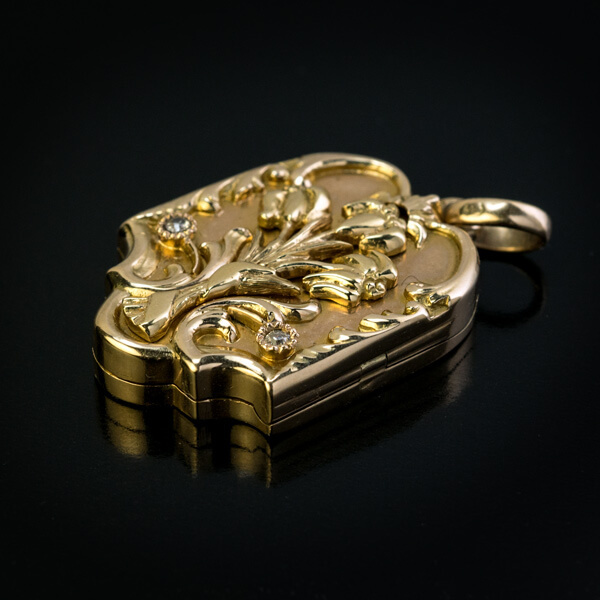 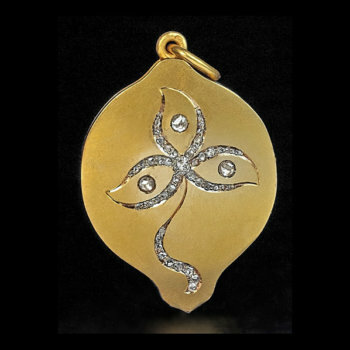 The interior of the locket is fitted with two miniature picture frames. 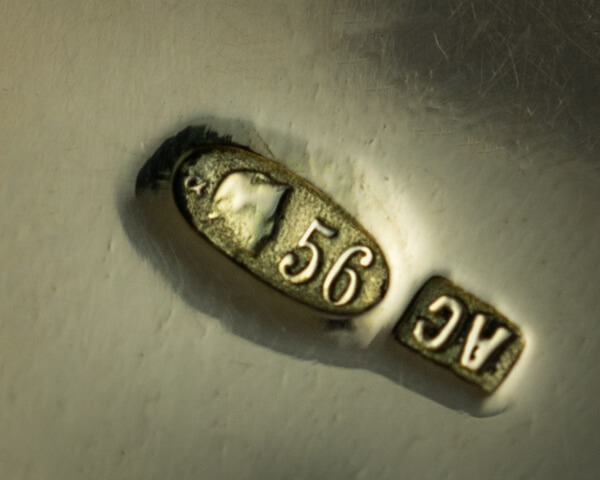 Marked inside and on back with St. Petersburg assay mark, 56 zolotnik Imperial gold standard (14K), and maker’s initials ‘AC’.